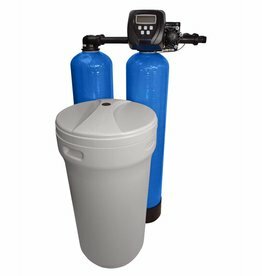 TWIN water softener for permanent soft water! 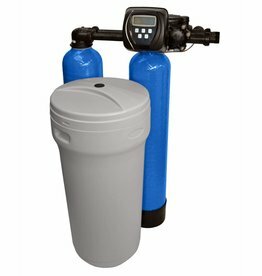 The water softening system IWD is designed as dual softener and is thus perfectly suitable for commercial and industrial use. Dual softeners are used for example in car wash facilities, as pretreatment of reverse osmosis systems or also in large residential units. The water softener IWD consists of the elements GFRP pressure tank (2 pieces), actuator CLACK WS1CI TWIN and salt dissolving tank. The pressure tanks are always operated alternating, that means that one of the pressure tanks is on stand-by mode while the other tank is in operation. When the system capacity is reached the pressure tanks are switched. Like this, soft water is available at all times. 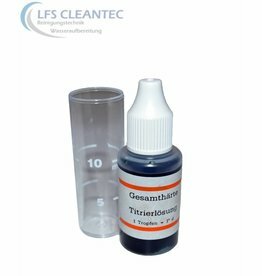 The filling of both pressure tanks consists of high quality exchange resin for water softening. The exchange resin has a duration of 10 years. The regeneration takes place with brine. You have to regularly refill salt tables when operating the water softener. Further measures for the operation are not necessary. 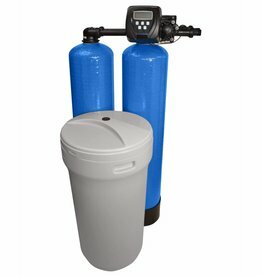 Water Softener with TWIN Actuator! The control valve CLACK WS1CI TWIN has a flow meter that continuously measures the treated amount of water and compares it with the system capacity. The control valve switches between the two pressure tanks if the maximum system capacity is reached. The pressure tank with the exhausted resin bed is regenerated while the other tank is used for water softening. Soft water without interruptions! In addition to the quantity-controlled trigger of the regeneration the control valve offers also time-controlled and manual trigger. Together with our programming manual you can program the control valve without any problems by yourself, yet it is always delivered preprogrammed. The dual softener IWD is delivered with built-in blenders. Upon delivery, the built-in blender is preinstalled on the entrance/exit side of the control valve. The blending hardness, meaning the water hardness that arrives at the consumer’s household, can be adjusted with the adjusting screw near the built-in blender. During blending soft water is mixed with raw water.